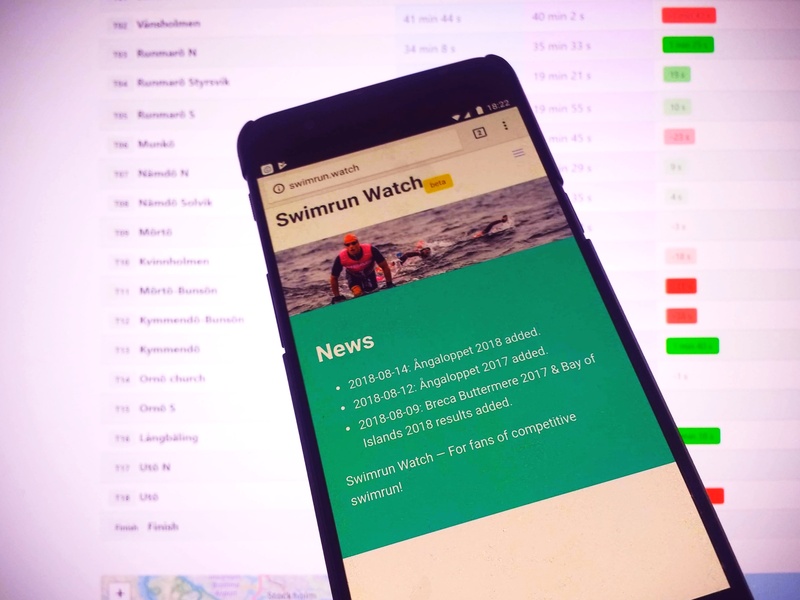 Two months ago I revealed a new site I had created to let people analyze swimrun race results. That site is Swimrun Watch and it has grown a bit in both content and features since. Looking for my next venture I got the idea to do something similar but for a bigger sport. Mind though that it needs to be a sport with a habit to record split times. Marathon running! Such a standardized sport with the same measurements all across the world. 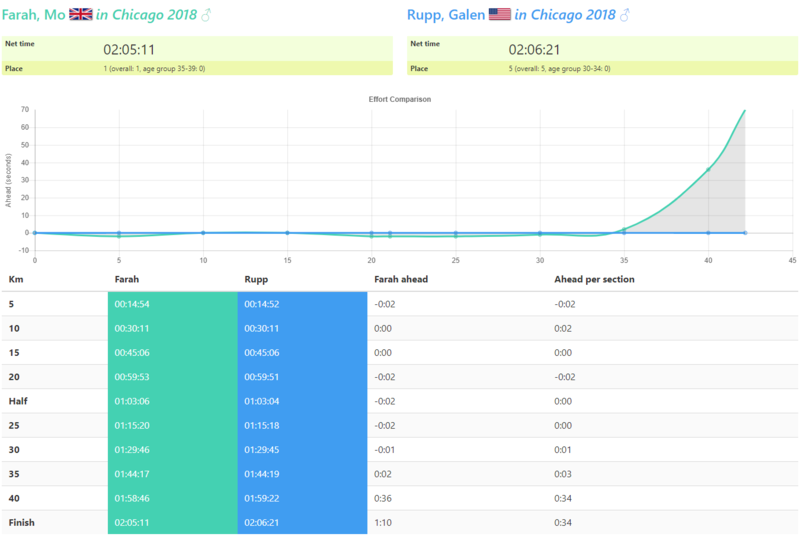 So, I siphoned the results data of a few of the world’s biggest marathon races, adapted some of the features from Swimrun Watch and voilà! Marathonsplits.com was born. 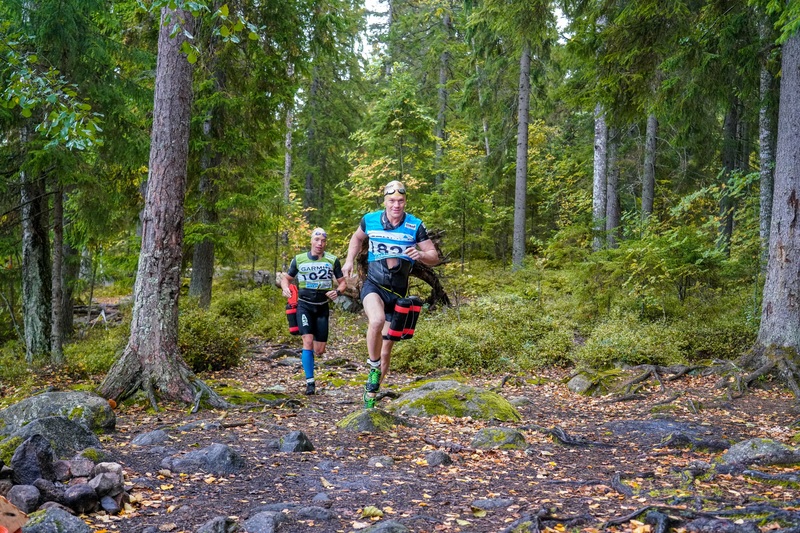 Solvalla Swimrun has a course that suits Tomas Granberg and me just perfectly. The trails and nature in Noux are very much like the trails close to home in Tyresta that we enjoy alot. It’s the terrain we enjoy the most and what we train in, both running and swimrun. We are not the fastest on flat runnable, but running over stones and tree roots we can keep a decent pace. That and our second place last year got us psyched to come back in 2018. Since we live in Stockholm it is just a boat trip away and we didn’t even spend a night in Finland since Tomas is always pressed for time. Last year’s winners, the kumiukots Teemu Toivanen and Teemu Lemmettylä, were nowhere to be seen when we arrived. 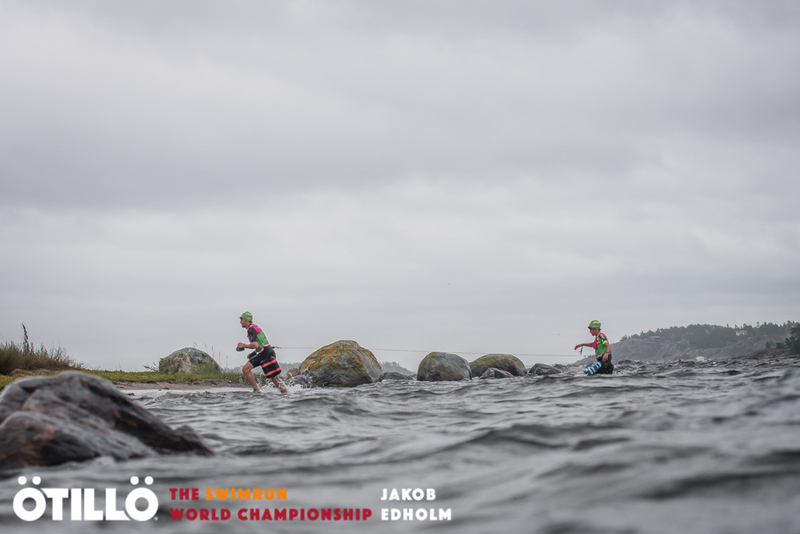 I suppose they were satisfied with a respectable 08:23 at the recent ÖTILLÖ World Champs and considered the swimrun season to be over after that. We knew that Finish triathletes Tuomas Lampainen and Markus Lampainen were in the start list and might be a cause for concern. Tomas had also scouted the Russian mixed team of Sergey Mikhalev and Irina Borevich who did well at the World Champs and could be contenders. Other than that we didn’t know too much going in. The plan we made up on the boat from Stockholm was simply to go at our own pace since we had no clue whether the one or two teams possibly ahead of us would offer suitable drafting. As it turned out we were alone after the first kilometer and it stayed that way. After about 90 min of racing we got high fives from the at that point second place team Markko Lehtosalo and Janne Blomqvist when they entered the 700 m swim as we exited (it’s a loop swim around a buoy). However, in the back of my mind I wanted us to beat last year’s winner time. That proved a bit too hard on the day. My own form on the day wasn’t perfect with a lack of sleep the nights before. Also the wind might or might not have affected the swims. Anyway, we managed to enjoy ourselves through the pristine forest and clear lakes. 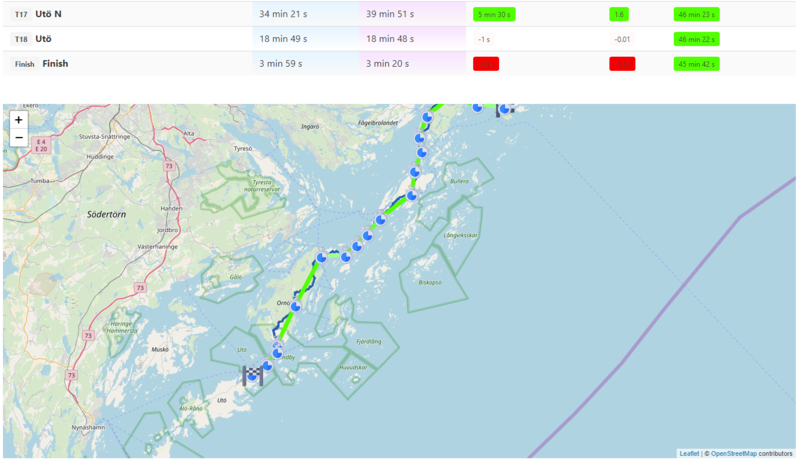 It’s nice that our ÖTILLÖ Merit Race shares it’s latter part of the course with the shorter Endurance Race distance and that the Endurance participants are ahead. Chasing people adds a nice spice to the race. We were a few seconds faster this year than last and more importantly, one place up on the podium. I would like to go back in 2019 but that is still a full year away. Regardless, it was a very enjoyable experience and a nicely organized event! You may also read last year’s report (in Swedish). Check out splits and stuff at Swimrun Watch. 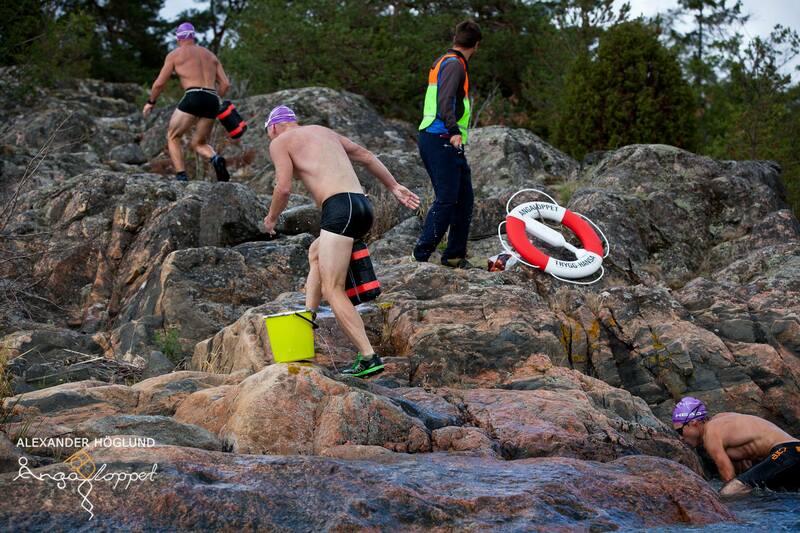 Feature photo: Petteri Rantanen / Solvalla Swimrun. Yes, together with my teammate Tomas Granberg we did just that in yesterday’s perfect conditions! Men’s category 20th place and 27th overall with a time of 8:57.49. But a lengthy post bragging about that wouldn’t be of much use to the world, so lets leave us aside and instead talk a bit about our modus operandi free for you to mimic. Here’s an introduction to executing at your best potential at ÖTILLÖ Worlds, be that sub 8, 9, 10 or whatever. Obviously the most important thing is training, training and some more training, but today I’ll leave that whole thing out and focus on race execution. If you are not a repeat participant, scout every section with Google Maps or equivalent. Some people bring a table with distances of all the legs. We don’t. Instead we focus on the key takeaways such as those following below, which are not too hard to remember. How long does it take for both teammates to take the wetsuit down and up again? If it takes a long time, would it be better to accept the heat and just drink a bit more? If your team is strong in the off-trail, where do you want to avoid being stuck behind a pack where there is little room for overtaking? You need to know such things. This course is so beautiful. I consumed about 400 ml of standard gels mixed with caffeine and additional electrolytes. These I put in a soft flask with no risk of littering and no messing around with packaging. Many people find it hard to take solids at the latter part of a race. You probably want to save some gel for the last two hours. In addition to that I brought one bar as mentioned and ate mainly bananas from aid stations. Adapt to your preference. Where do you store these things? In a sports top or bra, your lower underwear or a pocket if your suit has one. Make sure they don’t bounce around too much or fall out while running. Drink plenty of water at the stations. Swimming is such a treacherous activity. It is difficult to sense dehydration at an early stage. Especially when you are in the cold water. If your stomach allows, drink from the ocean while swimming. You might want to try that before to see what amount your stomach can handle. I bring two soft flasks. One containing my gel mix and one for liquid picked up at aid stations. At most stations, ÖTILLÖ no longer provides cups. You are aiming for beach flags mainly. Sometimes strobes. Sometimes there are intermediate pyramid buoys for direction (you don’t need pass at a certain side or anything). Draft whenever the opportunity comes along, or even strategically follow a team at suitable speed. You’ll always have your partner draft on you or the other way around, in any case. Side-by-side is wasting your team’s energy total to no use. The men’s front of ÖTILLÖ will usually be a group for a very long time, until a team breaks away on a run. You might realize why. Swimming about 10 km in a day with long runs in between means energy efficiency is key. You don’t sprint or even change speeds if there is not a very good reason to do so. If you realize you are gapping your partner swimming and you don’t have a tow line, slow your stroke down as that will help your partner to get back into your stream. When approaching shore, on the other hand, you could swim a few meters ahead allowing for some exit scouting. Sighting is very important. Even if you are a good swimmer you don’t want to be swimming 740 m when everyone else is swimming 700. Personally I prioritize sighting and swimming straight over pushing it very hard since my ability to swim straight deteriorates at very high effort. Especially so in choppy water. Most teams use fairly big pull buoys and hand paddles but don’t bring paddles so big that you are no longer able to pull through the whole stroke after 7 km. ÖTILLÖ WC is in the Baltic Ocean, which has brackish water. Some people will go without goggles and that works. If you use stronger contact lenses, you might want to bring a spare contact if swimming without goggles. This also being a thing to definitely practice before adopting. 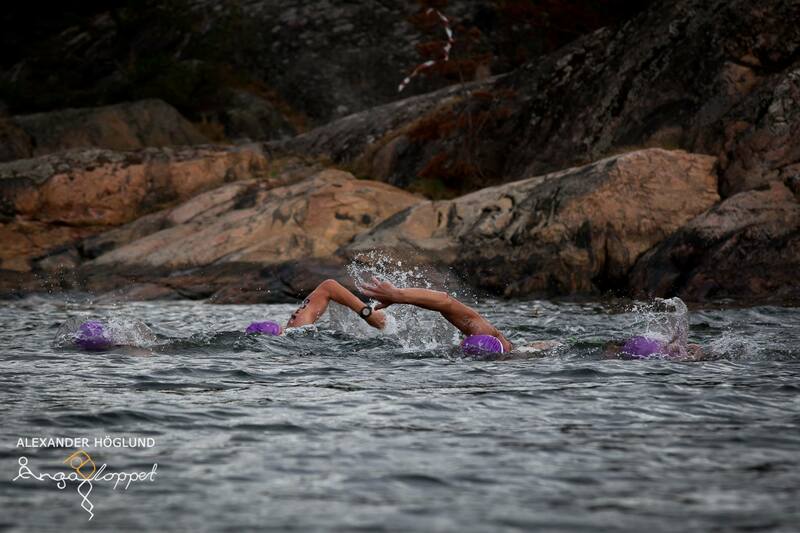 You may swim through currents, especially on the swims between Ornö and Utö. Those are the last swim sections of the course when you are the most tired. If the water is moving rapidly, counter already before hitting the current to get some slack. Currents may switch directions from one year to the next. First-timers will likely be surprised by the amount of off-trail and slippery rock. You need good grip. Especially in a wet year when rain is falling on race day or the days before. Non-spike orienteering shoes are popular with ÖTILLÖ Worlds athletes. If one of you is a considerably stronger runner, that person might be pulling with a tow line at the runnable sections. You might prefer pulling a little throughout the whole race instead of one of you bonking two thirds into and the other then trying to pull very hard. Watch out since pulling hard might trigger cramps in the calves. What pace would you be able to maintain throughout the whole race? Now take that pace and go just a little faster. You don’t want to underachieve. That should still end up being a bit slower than how most teams pace themselves. This applies in general but not always at the men’s front as there are not many teams to draft on the swims so you might factor that in too. There are a lot of micro decisions like that to be taken during the race. When I say pacing I mean effort-based and not actual speed since the course is so varied. We just avoid going ”red” or even ”orange” early on. This has the drawback that you might get stuck behind a crowd since a lot of teams can’t seem to pace themselves so think of strategies to mitigate that. Leave all pride aside. If the pace is too high for you, let it be known. The other way around, ask your partner if they’ve remembered to take a gel lately. His/her success is your success. Equal swimmers will let the more tired runner draft swims to regain some energy for the next run. Even if you’ve got equal capacity in all respects, maybe bring a line under the wetsuit in case either of you ends up having a bad day. If you are competitive both number one and two are done in-flight. Preferably during a swim or just before, to avoid developing rashes. A wetsuit cut short makes number two much easier. I don’t know why I put this under teamwork. This covers perhaps 10 % of the things that are handy to know. Dissecting this race you will find it is potentially so complex that you can’t expect to perform at your full physical potential the first time entering. Still worth it! I don’t want to scare anyone from entering and it is not only for the very competitive. 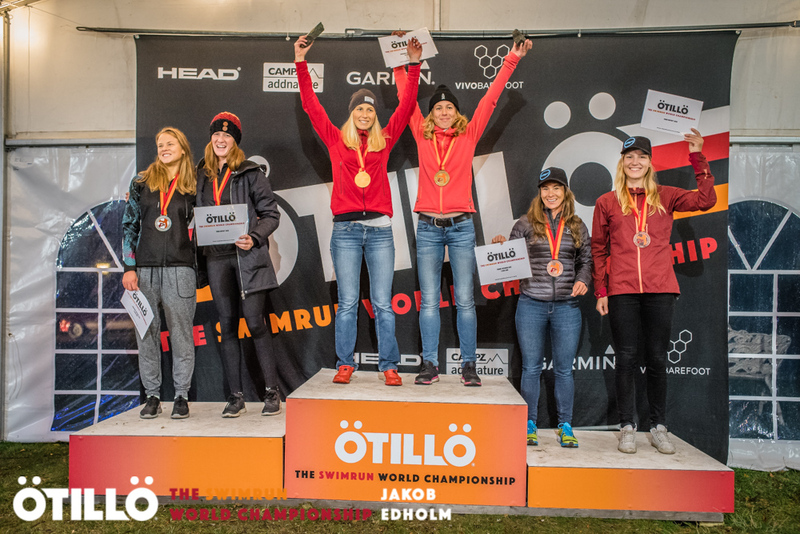 ÖTILLÖ World Champs is *magical*! The scenery, the spirit among the racers and the staff. All magical, regardless of how serious you are about competing. 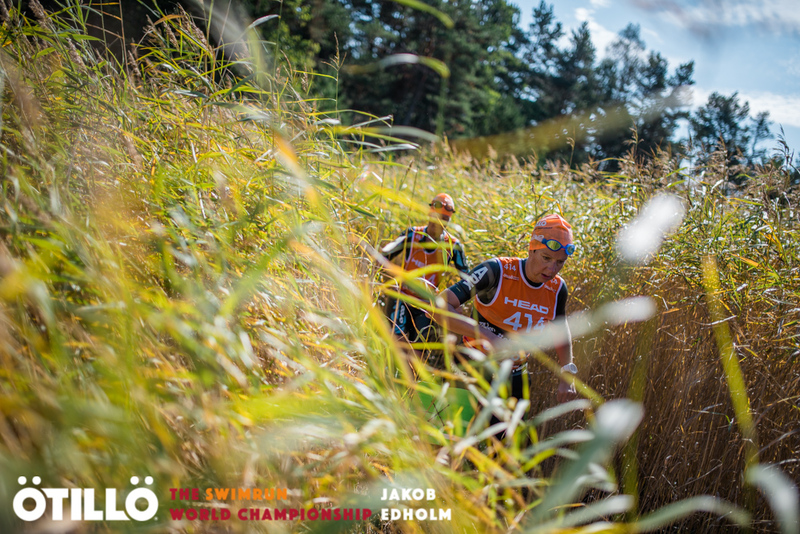 As I’m writing this we are almost two weeks out to the main event of the sport of swimrun, the ÖTILLÖ World Championships. 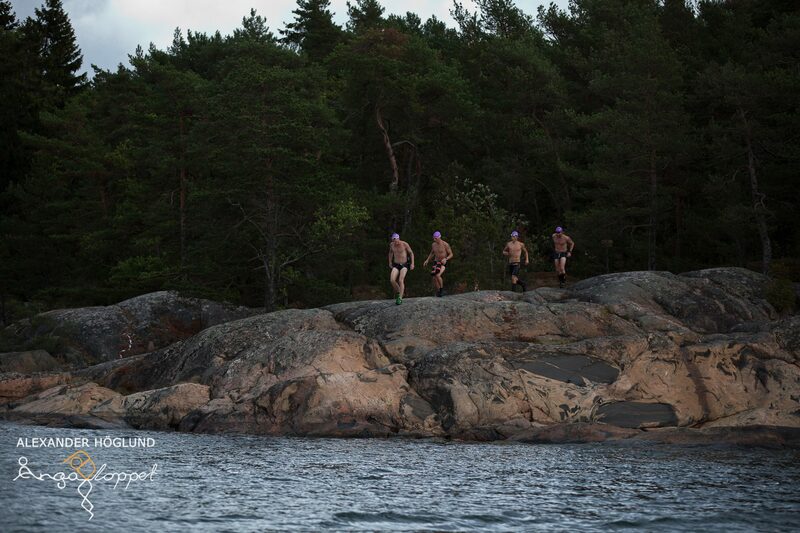 Without doubt the most competitive race of the sport, ÖTILLÖ WC attracts the best athletes of all categories. Rumour has it that some of the teams that have been close or on podium last year have made Monday September 3 their highest priority for 2018, setting aside everything else. Many are the teams returning for another shot where the heavy-weights fight it out, to improve on their previous efforts. With two weeks left, gradual tapering would set in for many of you, leaving time for last thoughts on equipment, race-day nutrition and race planning. Wouldn’t it be perfect if there would be a tool to help you with atleast some of that and add extra psych for the big day? 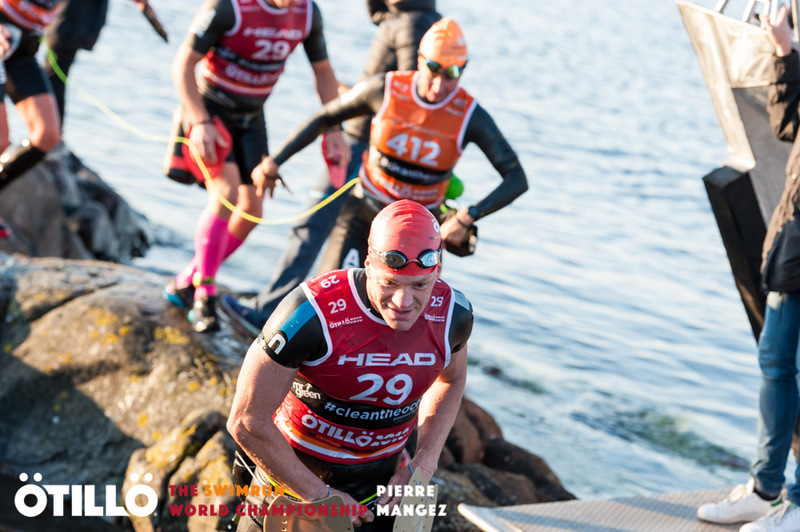 Enter Swimrun Watch — statistics and analytics for fans and athletes of competitive swimrun racing! I started working on this project almost a month ago and now is the time to reveal it and give you guys a chance to try it. Hopefully, it will be fun and maybe even useful for your pacing and race planning! Which teams are strong swimmers? Which die towards the end? The answers are in the data. Go find out! 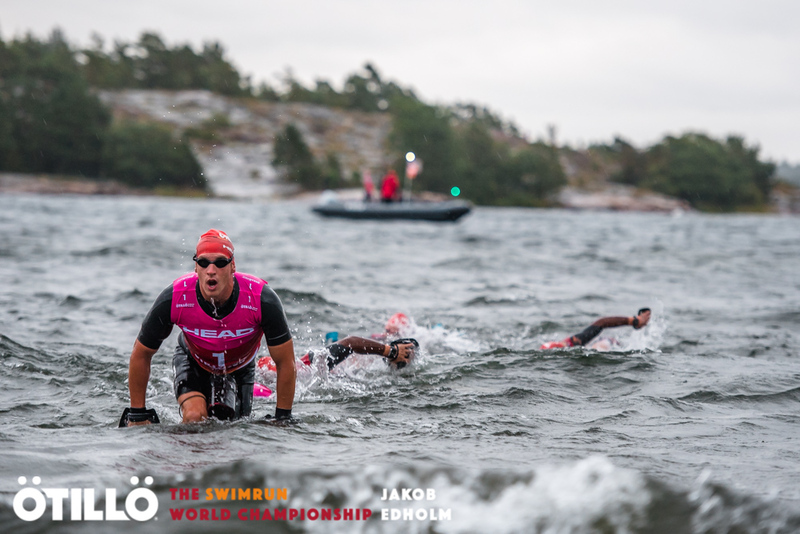 Jesper Svensson (SWE) exiting the water with Daniel Hansson (SWE) on draft on their way to win 2017 World Champs. Jesper’s streak continued on for a recent win at Ironman Brazil. Photo: Jakob Edholm / ÖTILLÖ. The men’s race played out as it usually does when you are up against Daniel Hansson. Very tight up until Ornö Church where Daniel and Jesper put the hammer down on their competition and went surprisingly fast over the very demanding islets separating Ornö and the finishing island Utö. Women’s podium of the Swimrun World Championships 2017 with winners Kristin Larsson (SWE) and Annika Ericsson (SWE) — again! Photo: Jakob Edholm / ÖTILLÖ. Swimrun Watch reveals winners Campz/Addnature managed to keep a wire-to-wire lead and compared to Orca Women they where only slower on one split — the home stretch uphill. All other green, indicating split advantage. However, that made no difference to the podium. Adriel Young (AUS) and Eva Nyström (SWE) on their way to win the 2017 World Champs. Photo: Jakob Edholm / ÖTILLÖ. 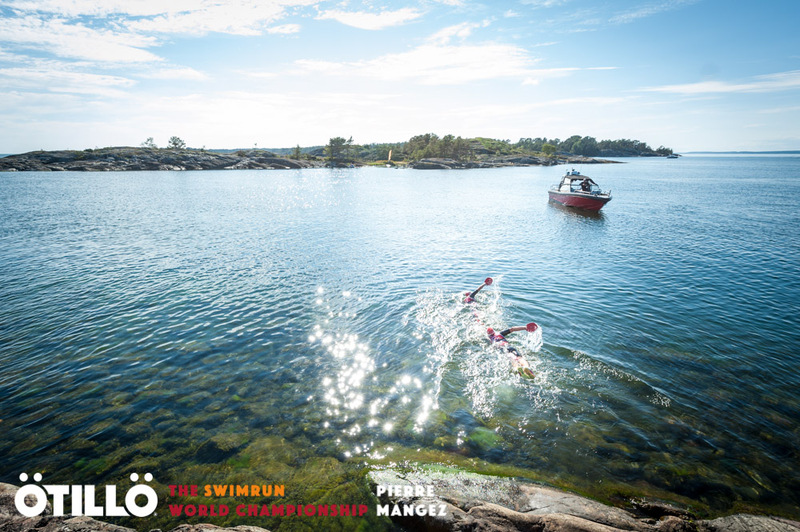 I hope team Apollo Sports/Head Swimming of Staffan Björklund (SWE) and Marika Wagner (SWE) got reports along the way because the race for first place in the mixed category was a nail biter. At Kvinnholmen about half-way Thule Crew had an almost 17 min lead but from there on it all went south, loosing time on every split. Had the race been a kilometer or two longer, Staffan and Marika would have won. But that didn’t happen and the strong-minded Eva Nyström (SWE) would hopefully smile following what most likely was some serious suffering, landing in the medical tent right after crossing the line. I’ve written a bunch of race reports in Swedish, making them more or less inaccessible to all those people of other languages interested in this Sweden-borne swimrun sport. 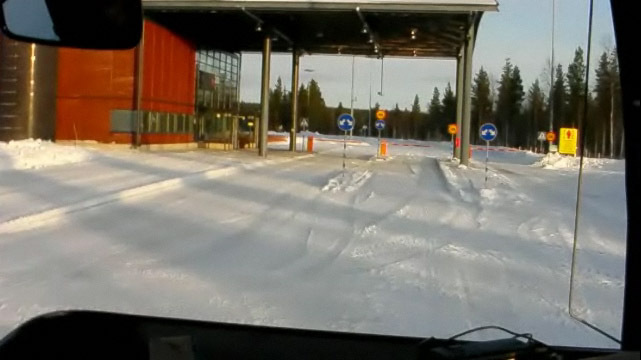 So this time, I’ll give you the tour of one of Sweden’s biggest races: Ångaloppet! Although, I’m not sure its just a race — more like a movement. Ångaloppet is for everyone! 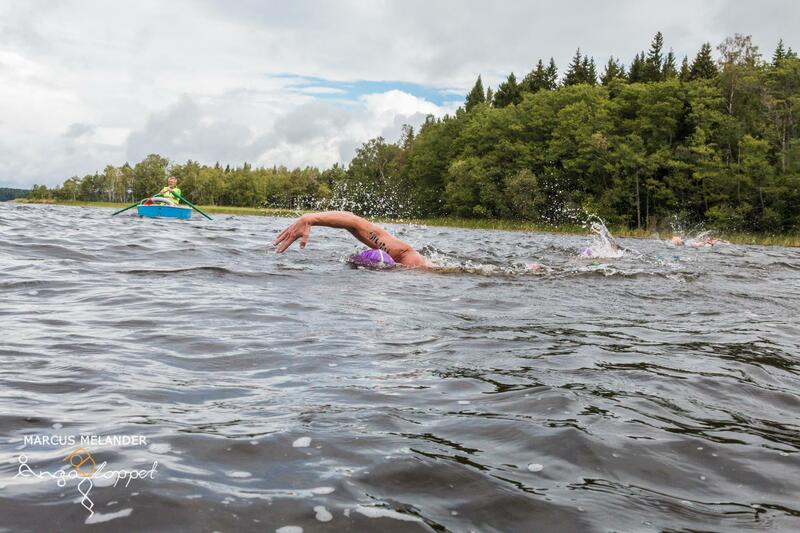 There’s a family race where an adult and a child swimrun together, short distances for trying the sport and hand paddles and lines for towing are banned. It’s supposed to be easy and fun to get into this sport and I think Ångaloppet is doing a great job in making a wider audience discover and appreciate the magnificent fun that this sport brings. At the sharp end there is still a lot of fun and companionship, trust me, although heart is pounding and we’re pressing on in tight competition. 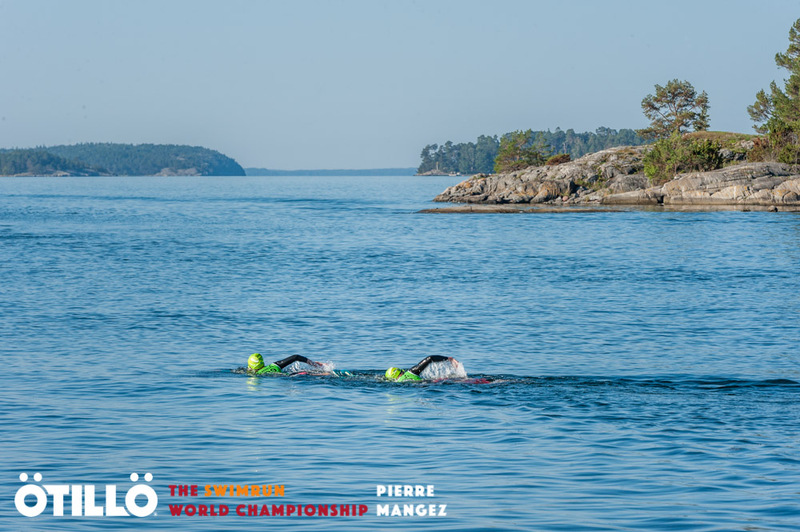 The main event of Ångaloppet is no more than 22 km, which is short in the context of swimrun racing but still packs 24 swims. Water entries and exists all the time and a lot of trail/off trail makes for a hectic ride and tons of adrenaline! I so enjoy the feeling of being a hunted animal in the wilderness, or out hunting running through technical terrain and trying to outswim someone to the next islet. Today I was back racing with my primary teammate Tomas Granberg of TG Swimrun notoriety. 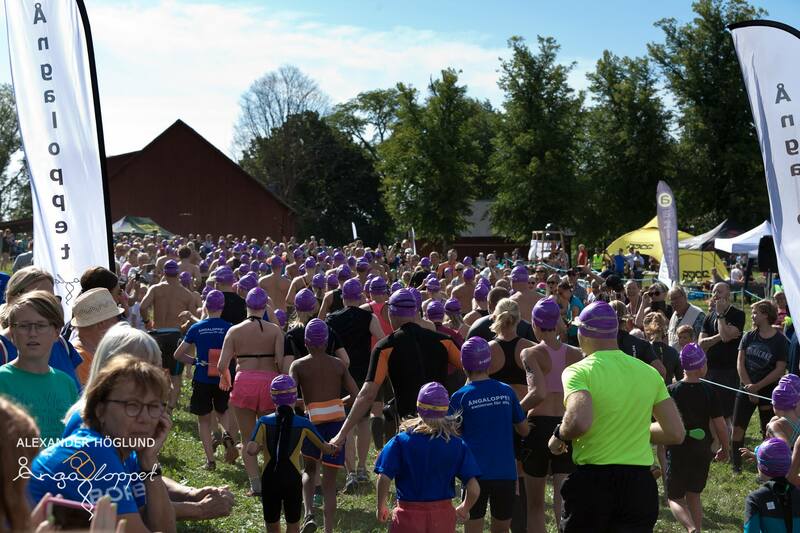 With no towline allowed, this race favors our very similar capacities in both disciplines of swimming and running. 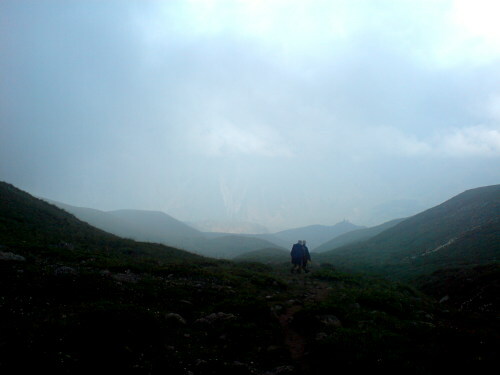 Also, we are both stronger in technical terrain than on runnable, which makes this course suit us. Usually we’ll for sure screw up something in a race but today was a fortunate exception. We executed a close to perfect race, which allowed us to advance as the race unfolded and cross the line as fifth finishers with the tenth best time ever on this course, to the best of our knowledge. Really pleased with our performance! This bodes well for the big one, arising on the horizon like a fiend out of the Baltic ocean. 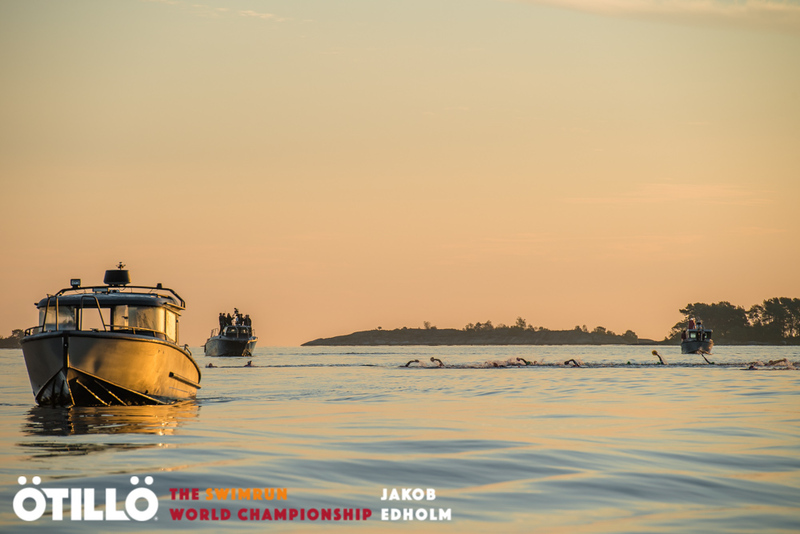 I’m talking ÖTILLÖ World Championship 2018 — the relentless race of races that brings all the beauty of the salty and harsh archipelago along with massive fatigue. And we are now only three weeks out. That’s one more week of milage and then gradual tapering for Tomas and I. So looking forward to face the strobe of that first swim! Oh. And the winners of today’s race, brothers Lars and Jonas Ekman of Bröderna bäver, are contenders for the win of the world championship. Last year they did the third fastest time ever in a world championship race and that was a step up from the year before. They are getting better and better, it looks, and I think that this year it will be gold for the brothers. Remember where you read it first. Tomas and I having recently overtaken two orienteers. With said orienteers who went out at an impressive pace on the first run. Setting out controlled this is an early swim as number seven I think, working our way closer to the front as the race unfolds. Participant of the family race. Gear in check! 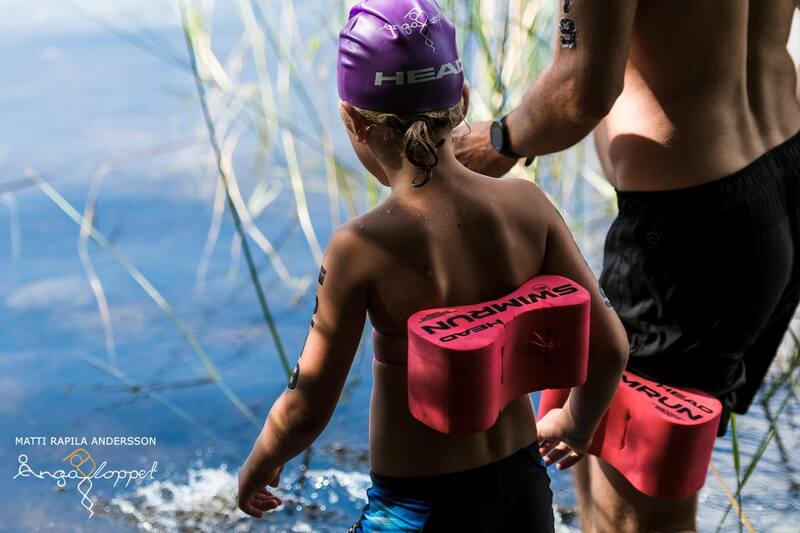 Swimrun is fun and it’s for everyone. Watch this exciting film about heliskiing in Georgia and dream away. 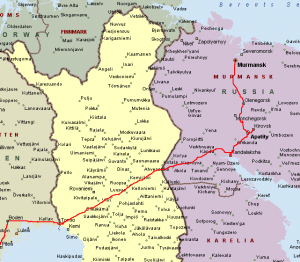 The charming country of Georgia, powder snow, alpine skiing, fantastic cousine, good drinks — that makes a fantastic vacation! 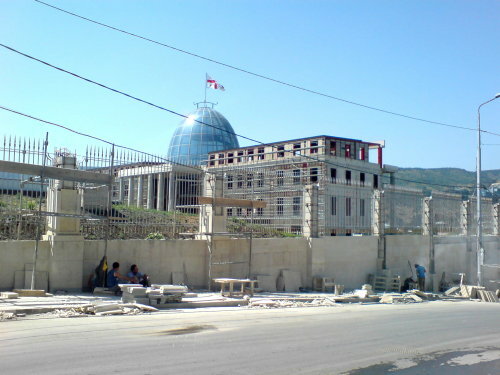 I was in Mestia two years ago during summer and could see they’d just started to construct a skiing resort at that time. 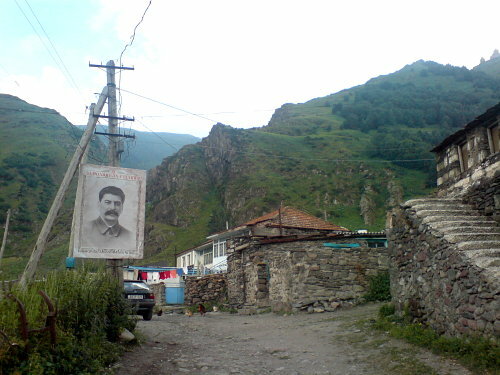 Gudauri is an established restort since many years. 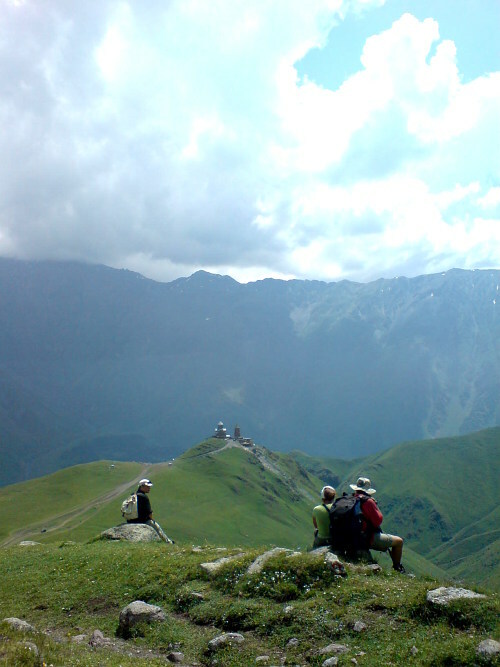 And with a helicopter, the seriously steep mountains of the Caucasus range are all yours. 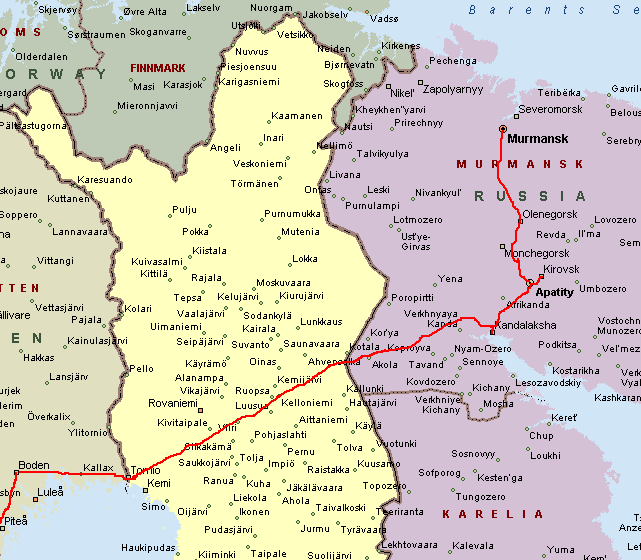 And why not heli across the border to do some skiing in Chechnya? :) I’ve heard it’s been done. Not by this organization, but I’m telling you it has been done. 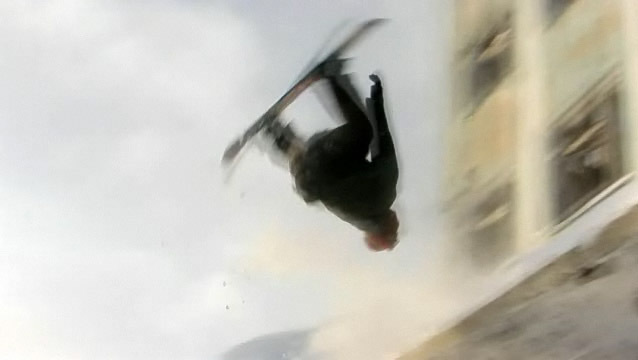 When you’re done watching this, go on and watch the very exotic and well-produced video diaries of the Skiing the Silk Road project. 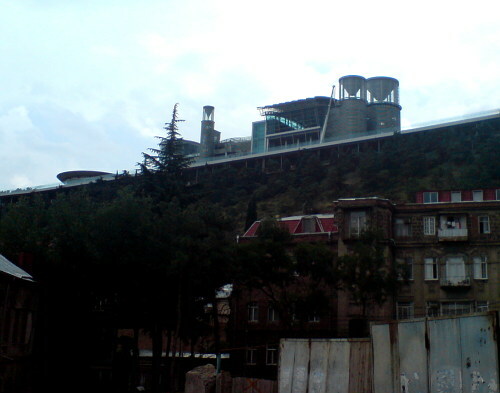 The EU Commission delegation office in Tbilisi. 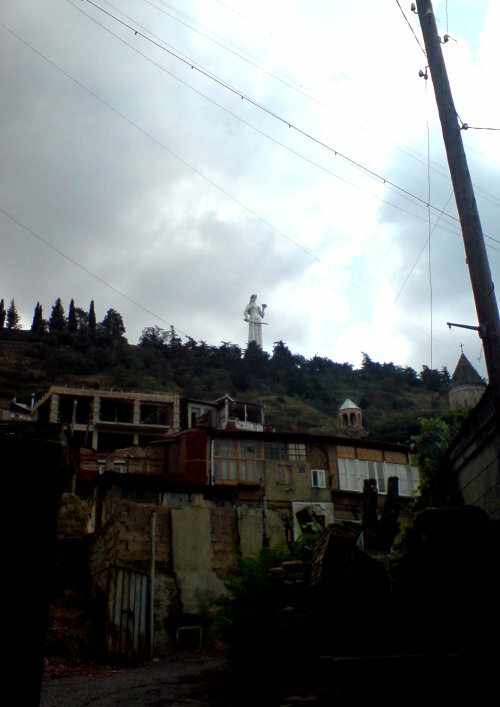 The founder watching over the city of Tbilisi. 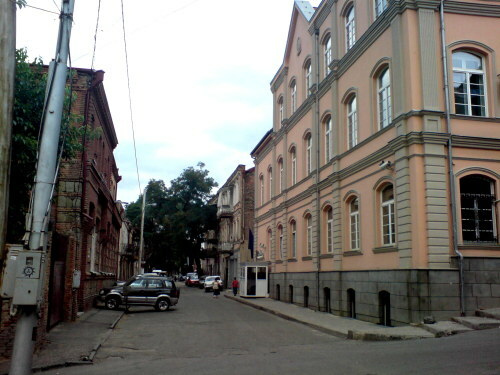 Narikala in the old part of Tbilisi. What is that? Premises of Dr. No? 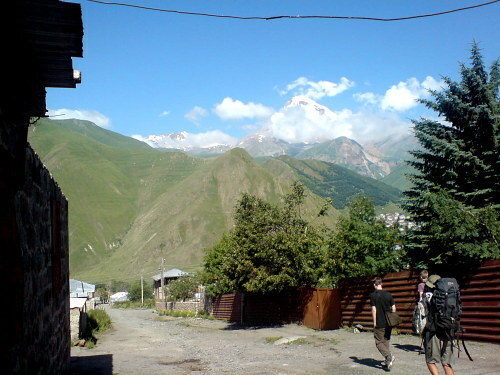 When trying to get to the northern Kazbegi region, our marshrutka (a minibus) broke down. 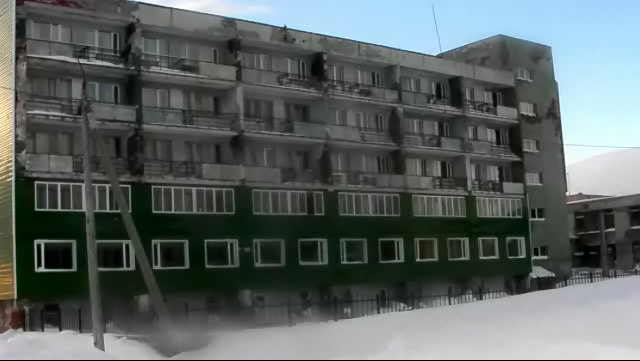 First a couple of people came to aid us, but we later had to jump into a new marshrutka. At one instance, an old BMW 3 series convertible pulled over. 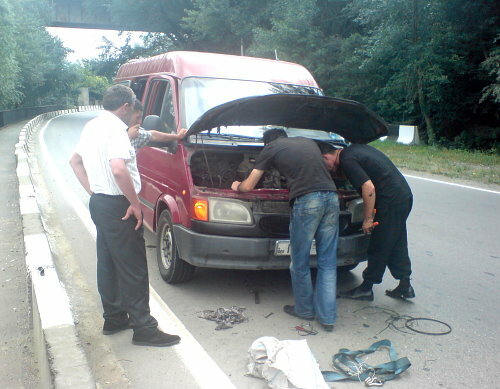 The driver took a bolt out of the roof fitting and handed it to the marshrutka driver. The BMW driver jammed an ill-fitting screw where the bolt had been in his roof and drove away. 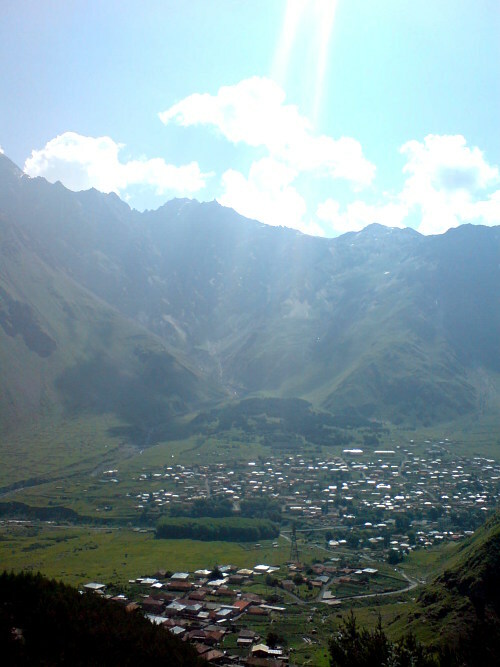 Meadow in Stepantsminda, Kazbegi. 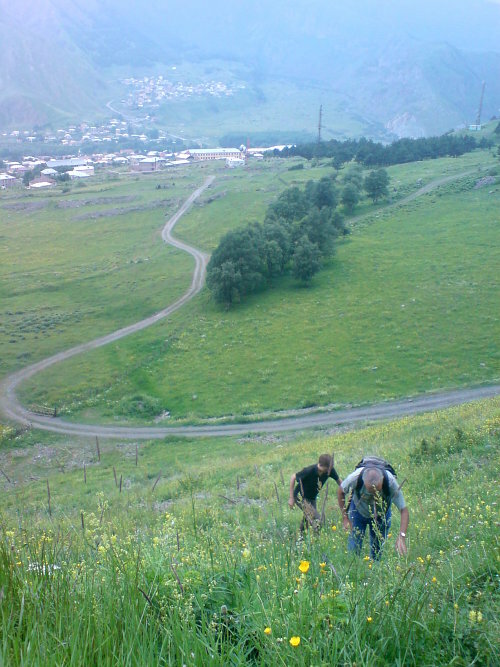 In the Caucasus, meadows may be horizontal or vertical. 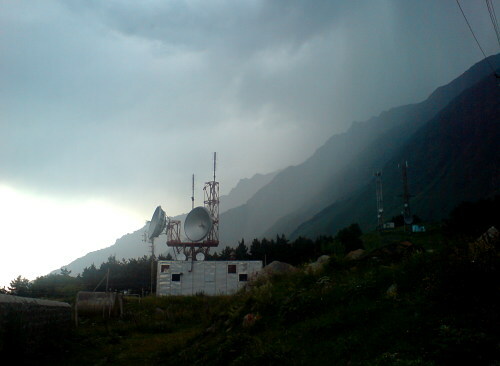 Telecom, tv, military communications? No idea. The Mtatsminda Zamemba church, as seen on our way up Mt. Kazbeg. 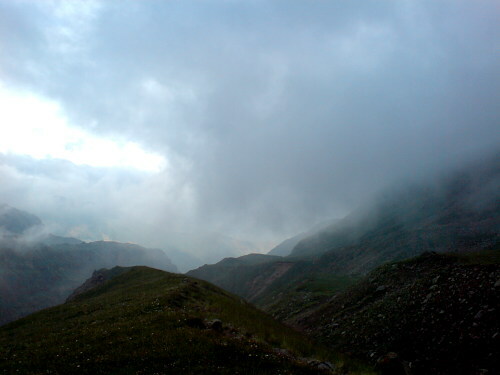 The clouded summit of Mt. 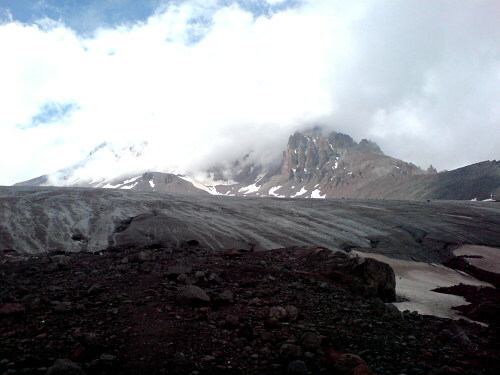 Kazbeg with a glacier in the foreground. This is what I had before my eyes after accidentally straying off the path, lost on my own. For about 30 minutes, I had no idea where I was. At one time, I peeked over a ridge only to find a precipice. At that point, I’ll have to admit to feeling a bit uneasy. What bothered me the most was that nightfall was coming. Only minutes later, though, I could make out the path again in the remote distance. 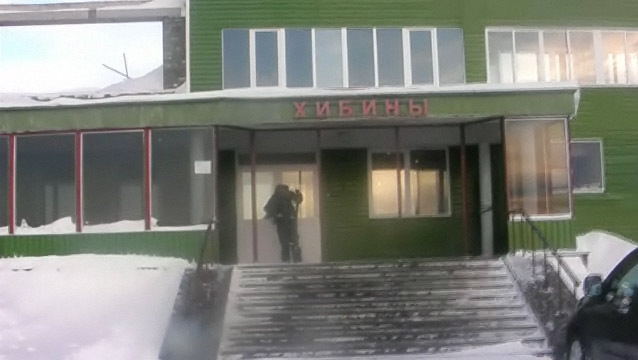 ”ЗА РОДИНУ, ЗА СТАЛИНА”, meaning ”for the homeland, for Stalin”. Creepy indeed. Earlier the same day a film crew had been shooting scenes for some Russian film in this neighbourhood. I hope the picture of Stalin is only a prop. However, I have seen other public pictures of the dictator in this area. The snow-capped peak of Mt. Kazbeg. Back in Tbilisi, this is the new presidential palace under construction. 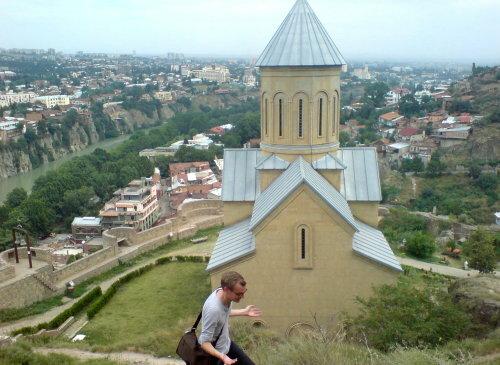 Now I’m back in Tbilisi after two days spent in Stepantsminda in the north of Georgia. We walked and climbed Mt. Kazbeg. 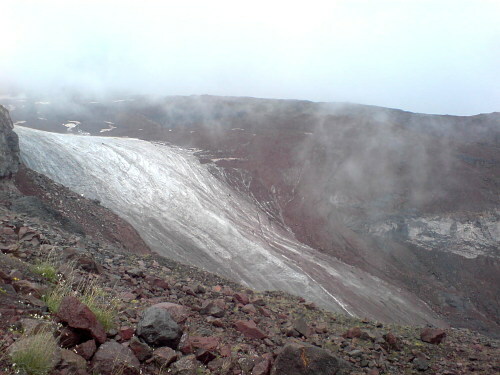 I reached a glacier which was very impressive at a distance but looked more like a huge mass of ice and dirt, which I guess is what it actually is. :) I’m going to post stunning imagery once back in Sweden. 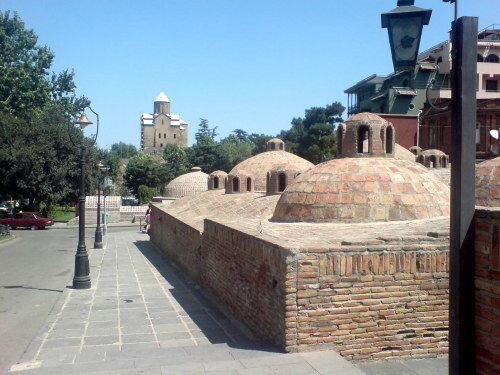 Now it’s back out to the streets and baths of Tbilisi! In February I and 17 other people took a trip to the Kola peninsula. We went by train and bus and the purpose was skiing the slopes of Kirovsk — the ”St. Petersburg Alps”. I didn’t take any photos myself, but here are a few snapshots from the excellent skier Anton’s recordings.